Honey-Can-Do HNGZ01520 60-Pack Recycled Plastic Tubular Hangers, Black. A versatile, lightweight (34g) clothes hanger, perfect for polos, t-shirts, and tank tops in a 60-piece value pack. The large rod hook is designed to fit over any closet bar. Integrated accessory hooks keep garments with spaghetti straps in place, plus hang scarves or belts nicely. A big help in the laundry room, these hangers are great for air-drying delicates. Recycled plastic construction is an eco-friendly alternative. 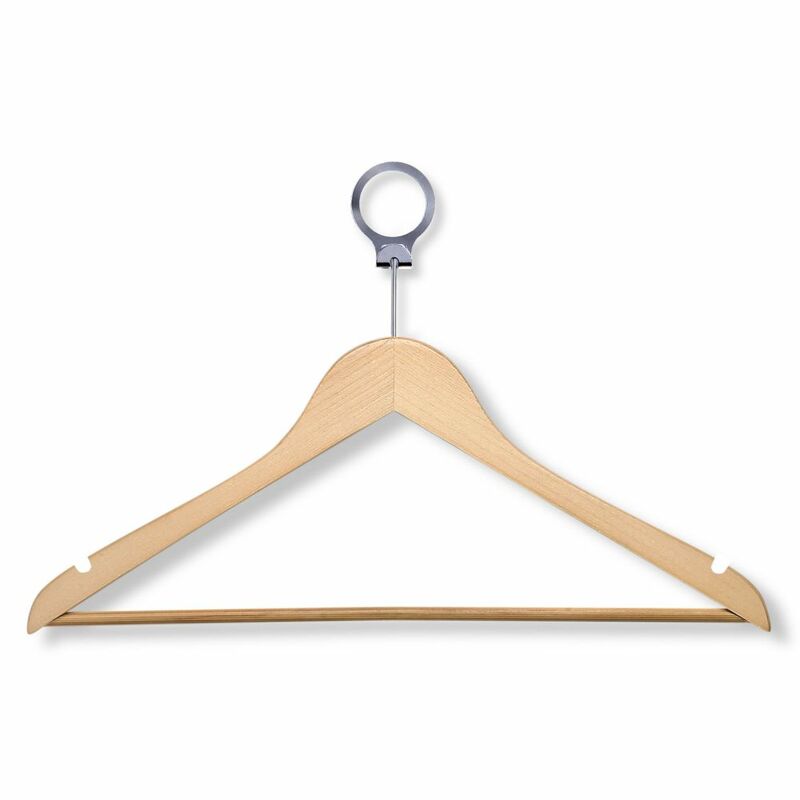 24-Pack Maple Hotel Suit Hangers Honey-Can-Do HNG-01733 24-Pack Wood Suit Hotel Hanger, Maple Finish. Beautiful, wooden clothes hanger has a contemporary design perfect for keeping shirts, dresses, and jackets wrinkle-free. Hotel style circular bar hook stays put when installed on any standard closet bar. These hangers also work great on rolling garment racks, keeping hangers and clothes in place. When needed, hangers easily detach from the circular hook. A gorgeous upgrade for any closet space. 24-Pack Maple Hotel Suit Hangers is rated 3.5 out of 5 by 2.